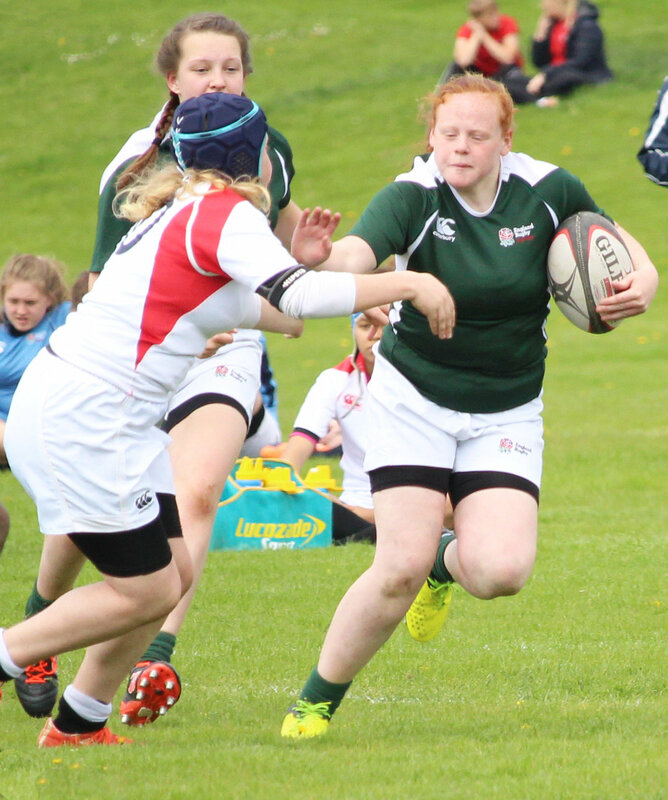 Captain of the Hornettes Girls Under 15, Katie Reynolds again captained the South West Under 15 rugby team in the second match of the regional series. Following a fine win against the Midlands, the second match was against the South East. The match was played at Birmingham Exiles RFC in Solihull. Elite athlete Katie led the team out and played in her club position of No 8. The South West were up against a well drilled team from the South East. In the first half the pace of the two South West wingers was too much for the opposition and very quickly they scored two tries to make the score 12 – 0. The South East fought back and by half time the score was 19 – 14 in favour of the South West. In the second half the South West used a squad rotational system to give other players the chance to show their skills. This suited the South East who went on to win 19 – 33. This was a true squad effort from the Manager, Head and Assistant Coaches to all the South West girls who played together to produce a creditable performance although the result went against them. Katie said: “I play because I wanted to try something different and challenge myself. “We all love rugby and that is why we do it. The third and final match of the Regional Championship will be played against the North on Sunday 7 May in Birmingham. Katie a year 10 pupil at Worle Community School in Weston-super-Mare will move up to Under 18 next season where there will be further opportunities to progress to the England national programme. 26,000 women and girls regularly play rugby in England in this up and coming sport. Anyone interested in playing rugby can see the girls training on a Wednesday evening at Hornets RFC. Congratulations to Katie Reynolds again selected to captain the South West of England U15 on Sunday 7 May in Birmingham. Playing at No 8 versus the North.